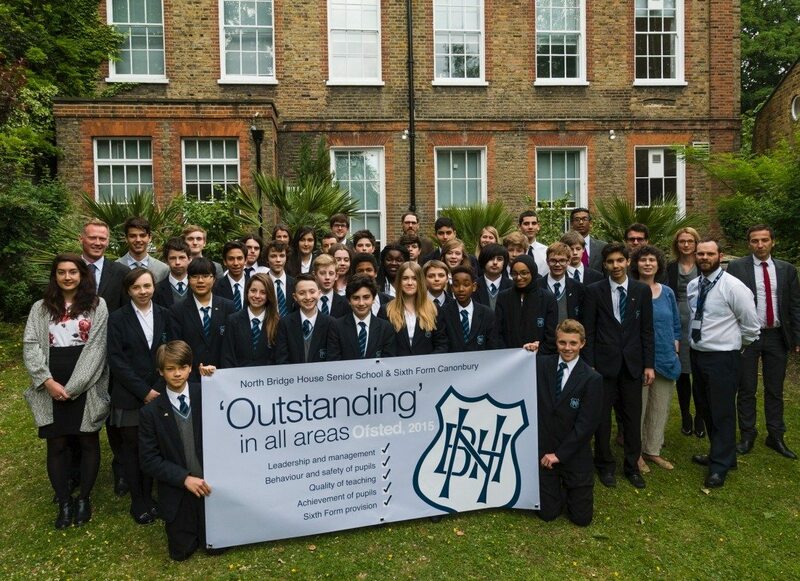 From Islington’s neglected Tudor manor to ‘Outstanding’ senior school and sixth form, North Bridge House Canonbury is continuing its success story with the addition of Year 7 from September 2017. To celebrate our second anniversary, we will become Islington’s first all-through independent senior school and sixth form for boys and girls. Having opened in September 2014, we have steadily grown our founding Year 9 and 12 cohorts into a small, high-achieving community, providing ‘Highly effective teaching and support from dedicated staff [to] ensure that students’ academic and personal development is outstanding’ (Ofsted, 2015). With local demand growing for a greater choice of 11+ school places, our next step – naturally – is to cater for Years 7 and 8. This change will not increase the overall capacity of the school: “Rather than the existing Years 9-13 becoming larger, we will make places available in Years 7 and 8 instead,” explains Head Teacher Jonathan Taylor. By extending our age range, we aim to meet both parents’ and pupils’ needs whilst continuing to maintain the elements that make our school unique. Classes will remain small to facilitate our focus on the individual, as we tailor our teaching approach and employ scientific research to help understand and inspire every pupil. To commence in September 2017, we will welcome additional Year 7 students only, with Year 8 forming the following year by way of natural progression. Our staff, whose ‘expertise and skill ensure that students build effectively on previous knowledge’ (Ofsted, 2015) have significant experience in teaching these year groups, and welcome the opportunity to grow students from the start of their senior education. To see the school and discuss our provision come along to one of our open days – click here to register or, alternatively, book a private tour. In the meantime, our friendly admissions team are happy to answer any questions you may have on 0207 267 6266 (option 5) / admissions@northbridgehouse.com.